Every year, millions of Americans over the age of 65 have a fall. 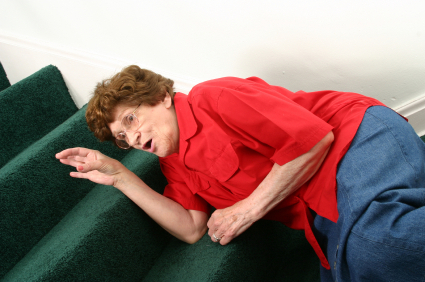 Among older adults, falls are the leading cause of both fatal and non-fatal injuries. A new study has found that hearing aids can help keep you standing on your own two feet. 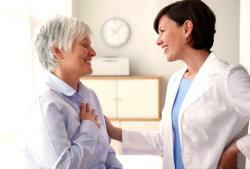 ​The Washington University School of Medicine conducted a small study with participants ages 65-91. It was the first study to show that sound information – separate from the balance systems of the inner ear – helps maintain the body’s stability. In the study, participants performed balance tests both with and without hearing aids. White noise was played for all the tests, and subjects were blindfolded while balancing in different positions for as long as they could. The balance positions ranged from easy (standing on a foam pad with their feet side-by-side) to more difficult (standing with one foot in front of the other). As the tests got more difficult, the subjects did better when they were wearing hearing aids. Even people who performed well on the easy balance tests performed better on the harder tests when they wore hearing aids. This study shows that older people with hearing aids may have better balance, because they use the sounds around them to orient their bodies in space, and keep them upright. This information is important because accidental falls affect the lives of so many older Americans. The Centers for Disease Control and Prevention found that in 2013, 2.5 million people were treated in hospitals for accidental falls, and over 25,000 older adults died from their injuries. For older adults, the injuries sustained in a fall can make it difficult to get around or live independently, decreasing their quality of life. This study gives strong support to the idea that ​hearing aids can help you maintain your balance as you get older, decreasing the chances of a fall that can lead to serious injuries or death. Visit an ​experienced audiologist for a hearing test, and see if hearing aids are the right choice for you.